Reading progress update: I've read 650 out of 681 pages. The fact that I am within spitting distance of the end of the book and still have to put it down to sleep really grates on me in the most weirdly amusing way. 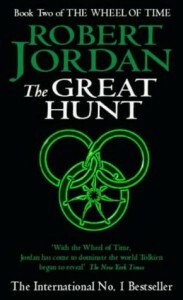 I will take the opportunity to say that if my notes are anything to go by (well over triple the amount for The Great Hunt, compared to EotW), I'm getting into Wheel of Time fairly decently.